What is it about towels shaped into things that makes us happy? I know there are you bah humbugs out there who probably toss them right off the bed, but many of you are like me, and seeing a little towel animal waiting for you brings a smile to your face. 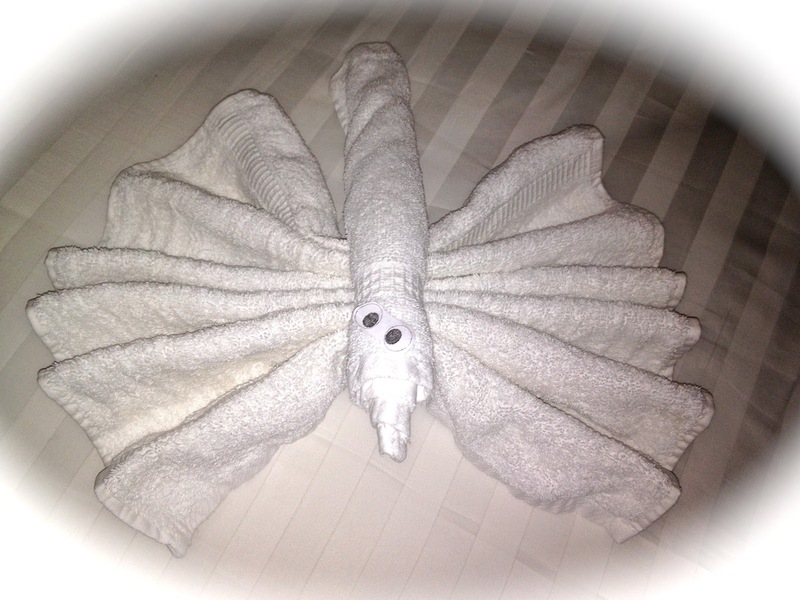 These are some of the towel creatures that awaited my return to the room on our Holland America Caribbean Cruise. 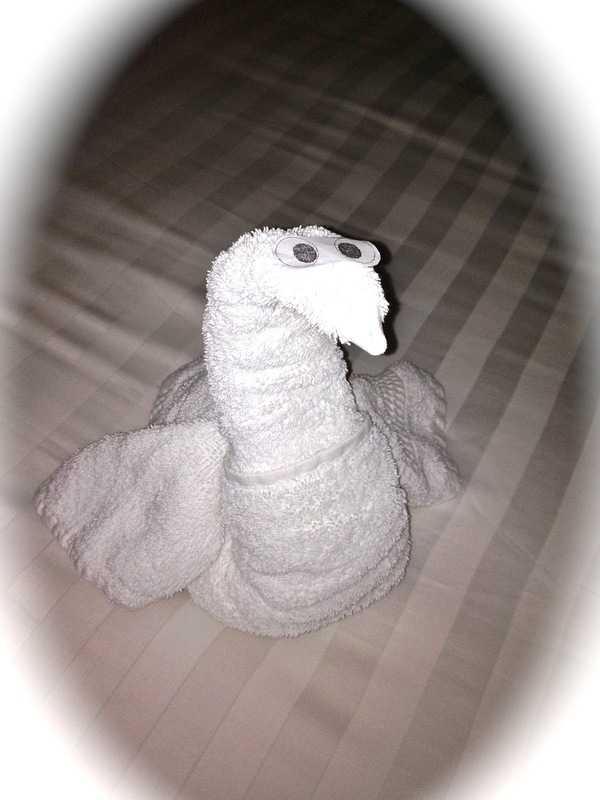 The towel animals got me thinking about real animals and wondering if there is a cruise line that allowed pets. Turns out there is one, Cunard, that has a kennel on board, but only for the transatlantic crossing of the Queen Mary 2. Your pet must stay in the kennel the entire time, but you can visit them there. 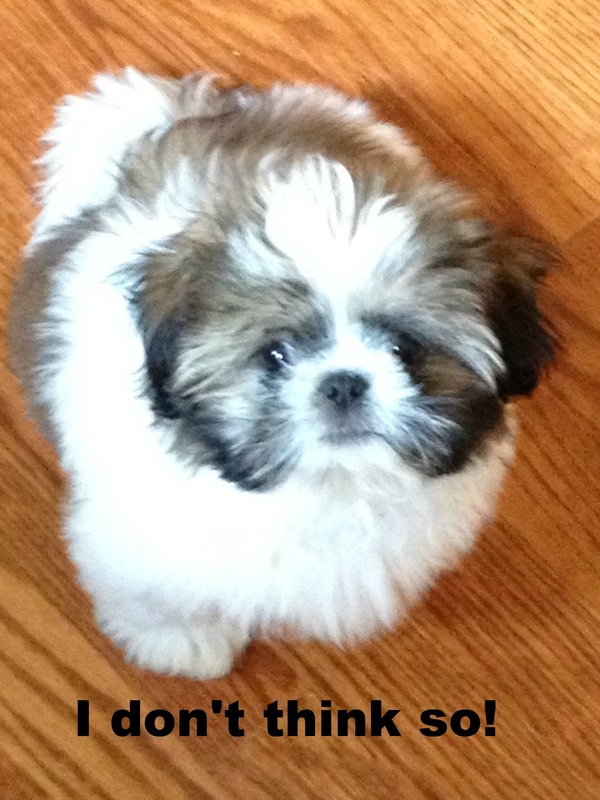 I guess little Louie will just have to stay home during our next cruise. The kids have always seemed to enjoy them over the years. What is the best thing you’ve ever had waiting in a hotel room? 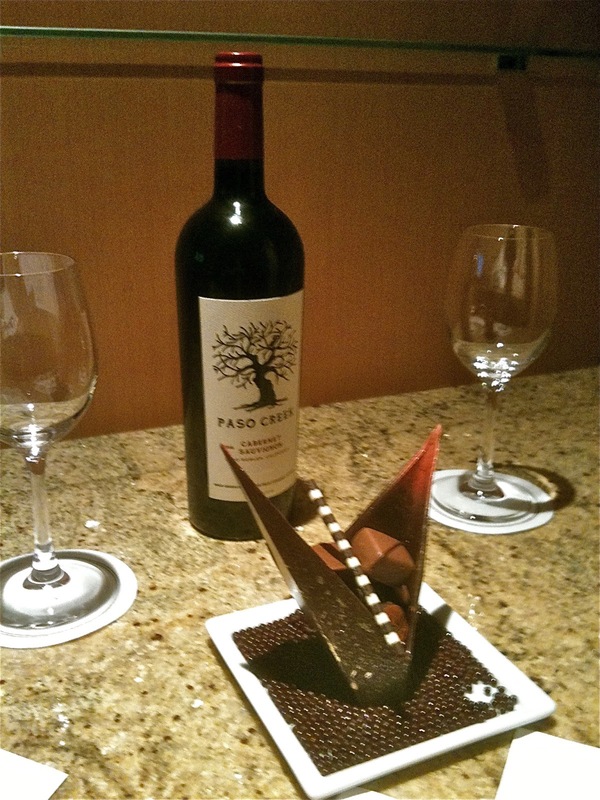 We spent the weekend at the Four Seasons in St. Louis and were welcomed with a bottle of wine and an amazing chocolate creation. I also like the little notes or quotes that some hotels leave on the pillow. Oh wow, you are a newlywed…congrats! How was Costa Rica? Would love to go there! The most novel thing I've ever had as a gift in a hotel room was a little packet left on the pillow. I assumed it was a chocolate treat but it was, in fact, a little packet of seeds. The hotel was Barnsley House in the Cotswolds, UK, and was famous for its gardens, designed by Rosemary Verey in the 1950s. I assume they wanted their guests to carry on this tradition at home. This made me laugh, because you know some person not paying a bit of attention has probably eaten the seeds! I am always amused at what has "not for human consumption" written on it. I love the Cotswolds…so lush and green. The seeds make perfect sense. is an extremely neatly written article. I'll be sure to bookmark it and return to learn more of your helpful information. Thanks for the post. I will definitely comeback. 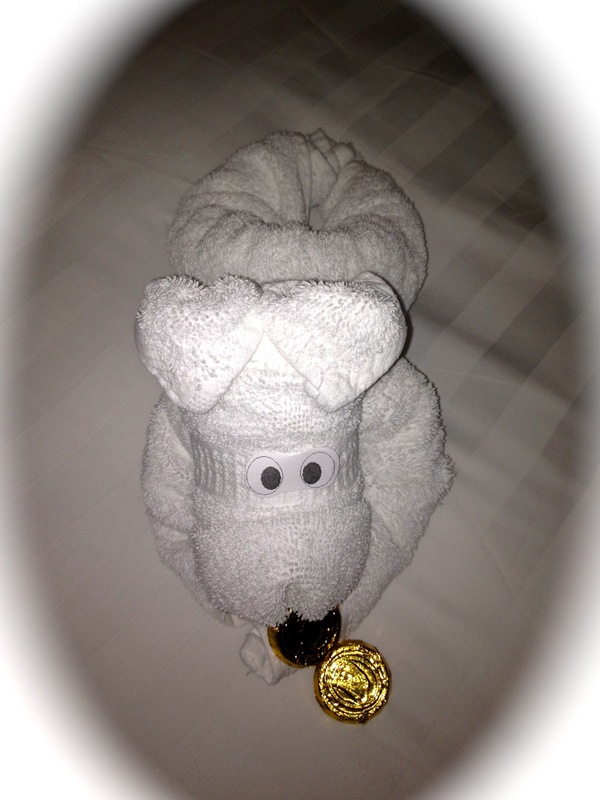 I love the towel animals on cruises. Disney does it best, but they are all quite good. I want to go on a Disney cruise so bad! 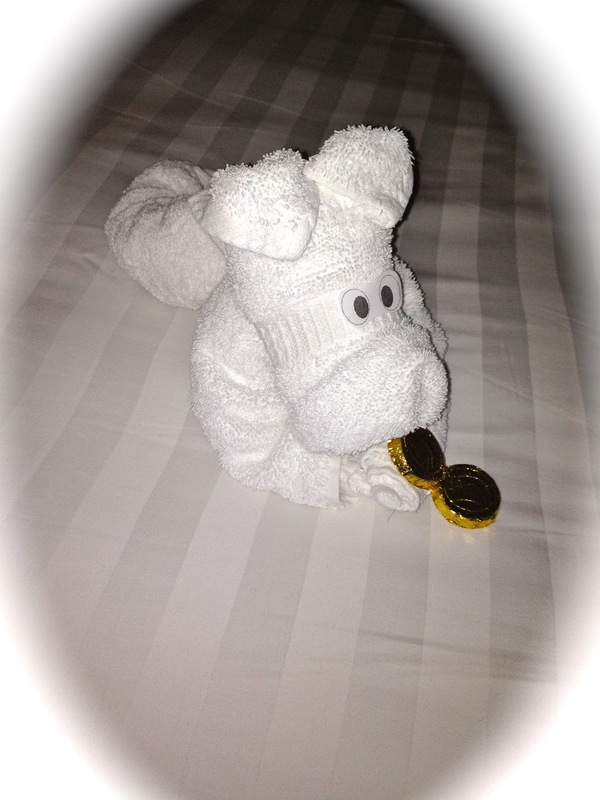 Love the towel animals and your children are so cute, too! 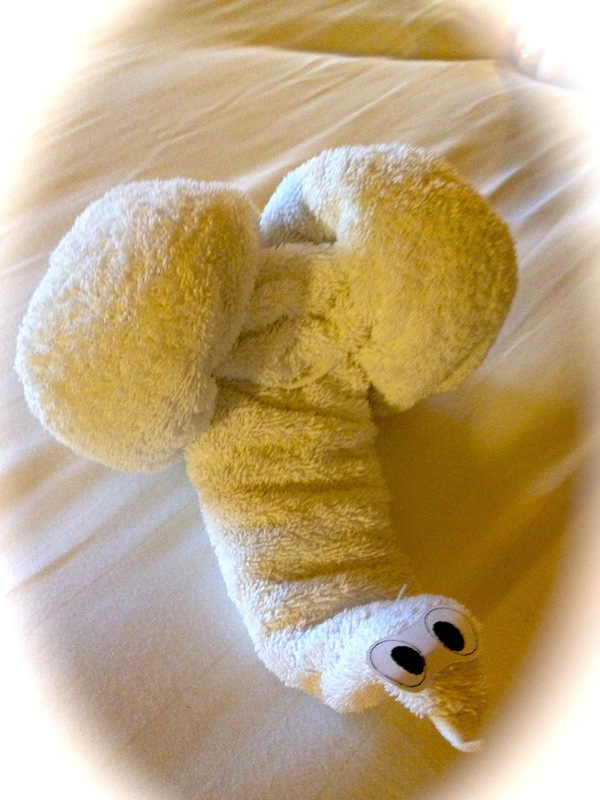 I love coming back to my cabin and seeing the towel animals, but I hate when you have to really think about what it is. Too much work! Looking for a specific place? I grew up in the South with parents that loved to travel. Luckily, they took me along with them wherever they went. Most of our travels were in a car, family road trip style. By the time I graduated high school, I had been to almost all of the United States and most of Canada on some sort of road trip.